If you love strawberries and cream, you'll love this cake! I stumbled upon this recipe as my parents' wedding anniversary is coming up shortly. 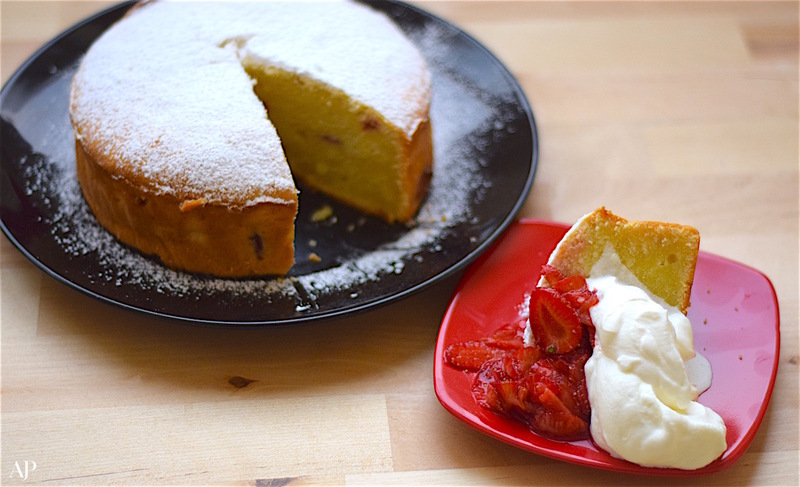 I wanted to make something different that they would enjoy – my mother loves strawberries like I love avocado, and my dad loves a simple pound cake recipe. I tweaked the recipe by adding cream cheese to make it a cream cheese pound cake, adding a delicious flavour to the overall cake. The macerated strawberries are another addition to this layer of flavour. 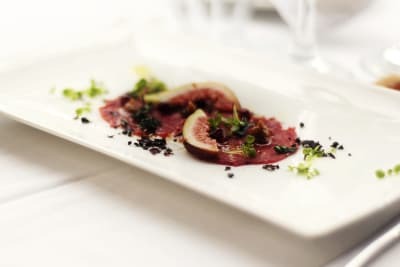 I adore balsamic vinegar with strawberries – this make the perfect 'unstewed' strawberries in their own natural juices. 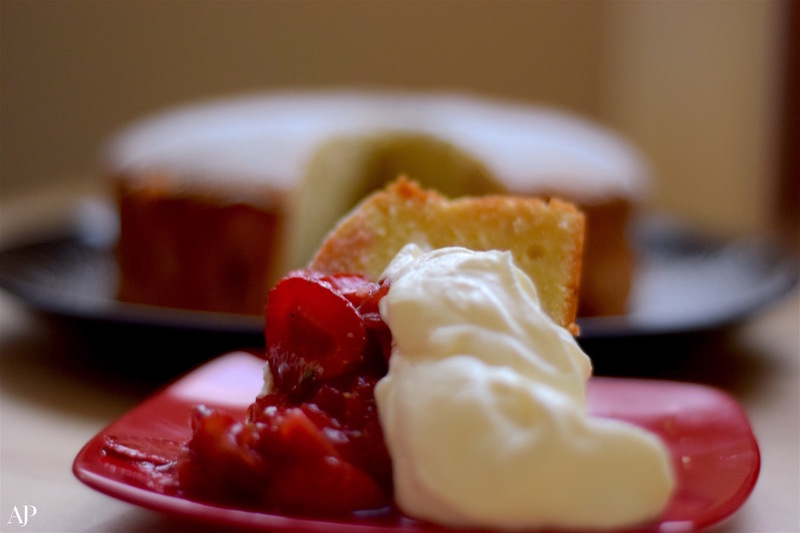 The addition of sugar enables the strawberries to release their flavour and juices, creating a delicious syrup that pairs perfectly with the pound cake. The addition of Chantilly cream adds the classic flavour pairing of strawberries and cream to the cake and finishes it beautifully with a voluptuous texture. Preheat oven to 180°C. Line a 9-in cake tin with butter and buttered parchment paper. To make the macerated strawberries, place the strawberries, vinegar, sugar and salt in a bowl. Set aside for at least 1 hour. Sift all the dry ingredients for the cake and set aside. Cream the butter and sugar in an electric mixer on medium speed till pale and fluffy. Add the vanilla and then the eggs one at a time, beating well in between each egg. Fold in the dry ingredients alternating with the wet ingredients until the batter in smooth and well combined. Add the sliced strawberries and gently fold. 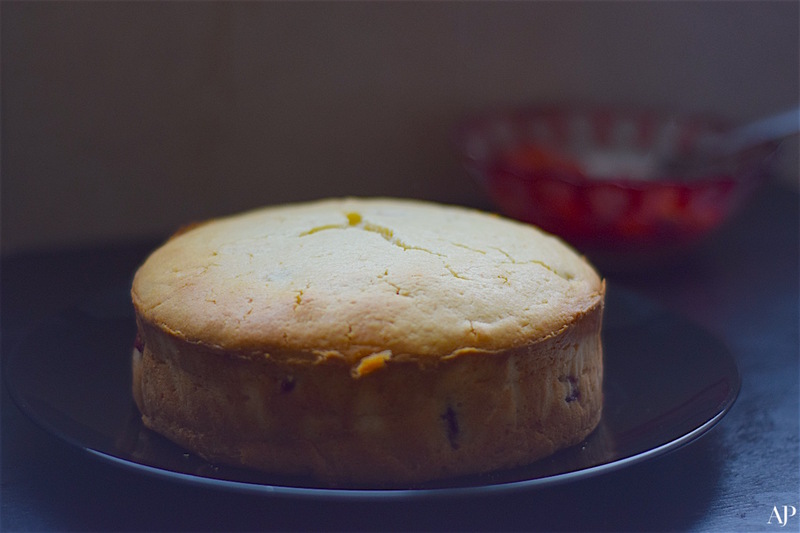 Bake at 170°C for 40–42 minutes, or until the cake has risen and cracked at the top. While the cake cools, make the Chantilly cream. 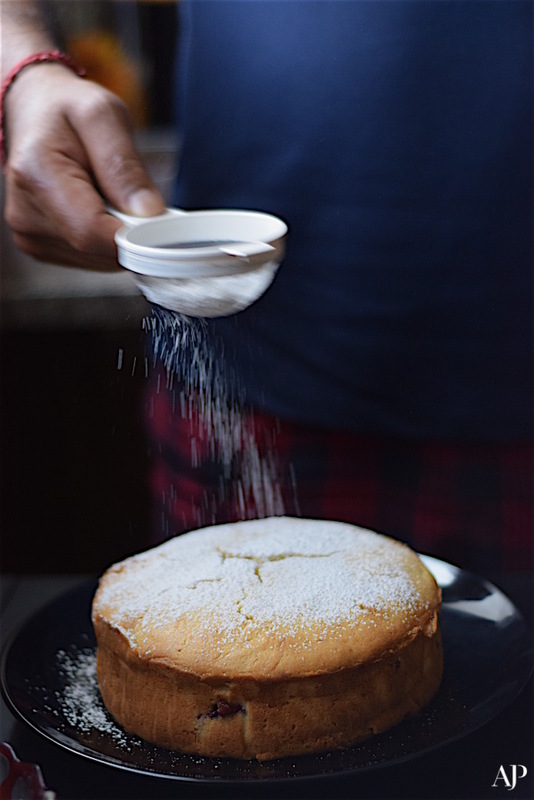 Using a clean steel/glass bowl, whisk the cream with the sugar and vanilla until soft peak stage. Leave in the fridge until serving time. 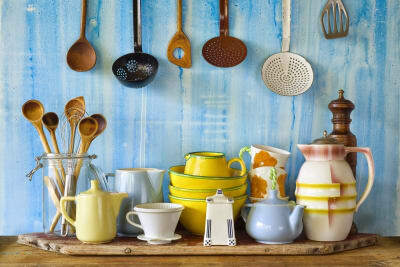 When the cake has cooled, dust with icing sugar and serve with the strawberries and cream.